1. Cook your proteins in large batches. Cooking protein — whether it’s chicken, beef, shrimp, or tofu — in large batches will help save you time and money in the long run. You can easily plan delicious meals around your protein by making different sides to pair with it; for example, you can saute some vegetables for a chicken stir-fry for Monday and make rice pilaf for Tuesday’s chicken and rice. 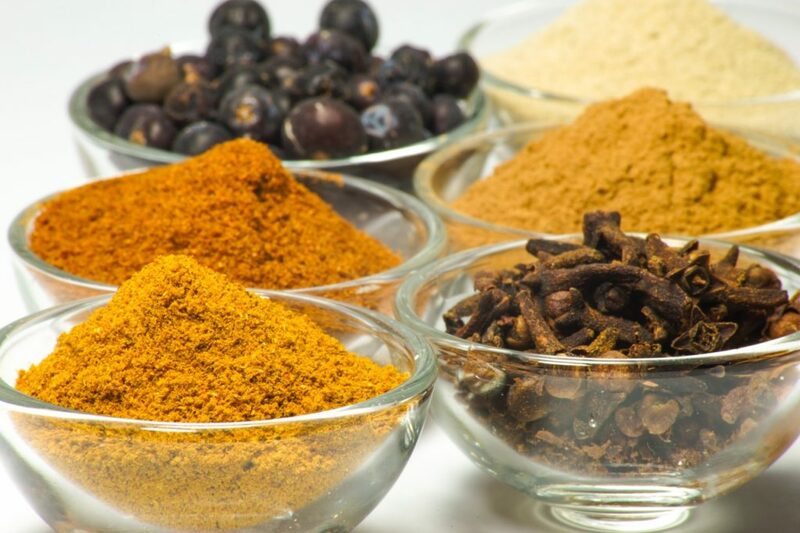 Using spices like turmeric, pepper, garlic, onions, basil, and rosemary can add lots of flavor to your food without having to resort to using salt all the time. 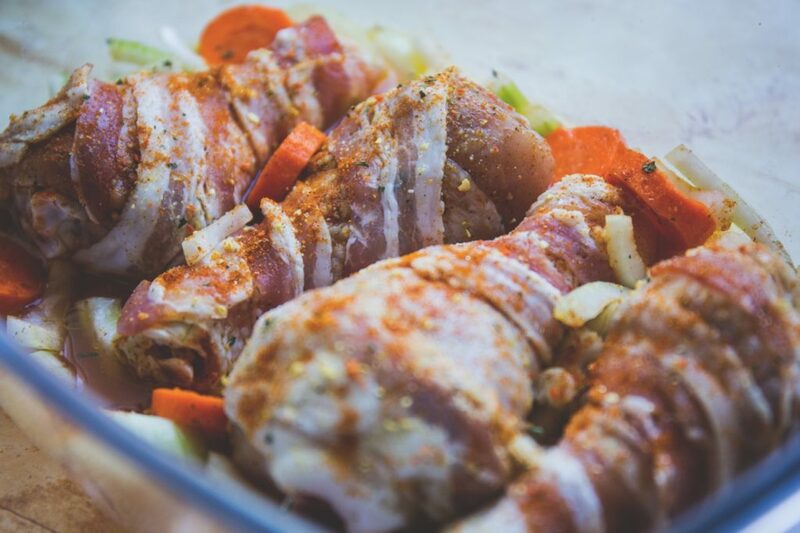 If you divvy up your protein before cooking it and season each portion with a different spice, you’ll be able to add variety to your meals and prevent yourself from getting bored! After all, chicken seasoned with red pepper flakes and cumin is worlds away from chicken seasoned with rosemary and thyme. 3. 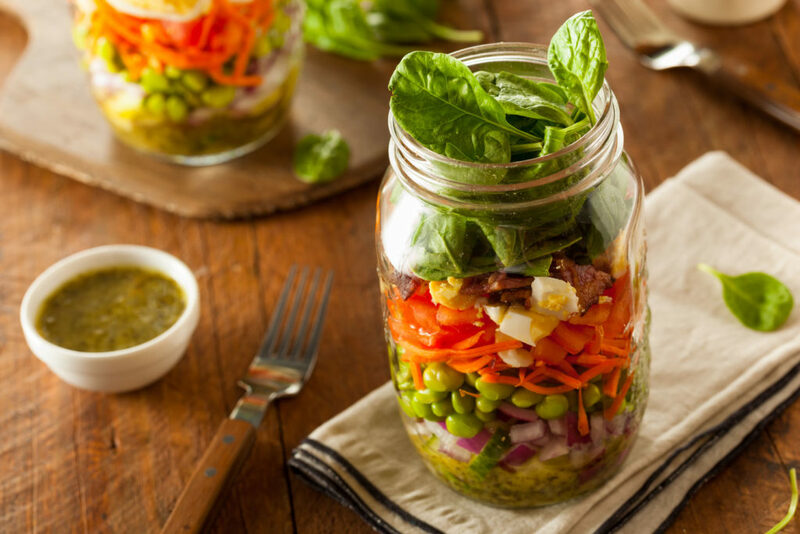 Assemble salads and parfaits in mason jars. These are a great time-saver, and you can make a bunch in advance to grab and go during the week. Layer salads like this: dressing and other wet items like tomatoes at the bottom, moisture-resistant vegetables like bell peppers and carrots, proteins and other dry ingredients like nuts next, and finally greens on the very top. You can put a paper towel on the top for extra moisture absorbency if you plan on leaving these in the fridge for a while. For yogurt parfaits, start with a bottom layer of Greek yogurt, then a dry cereal like oats or granola, and then a layer of bite-sized fruit like strawberries, blueberries, or pineapple chunks. Feel free to add a second layer if you like! 4. Cook perfect “hard boiled” eggs in your oven. Boiling eggs is a pain, and one that’s hard to master, at that. 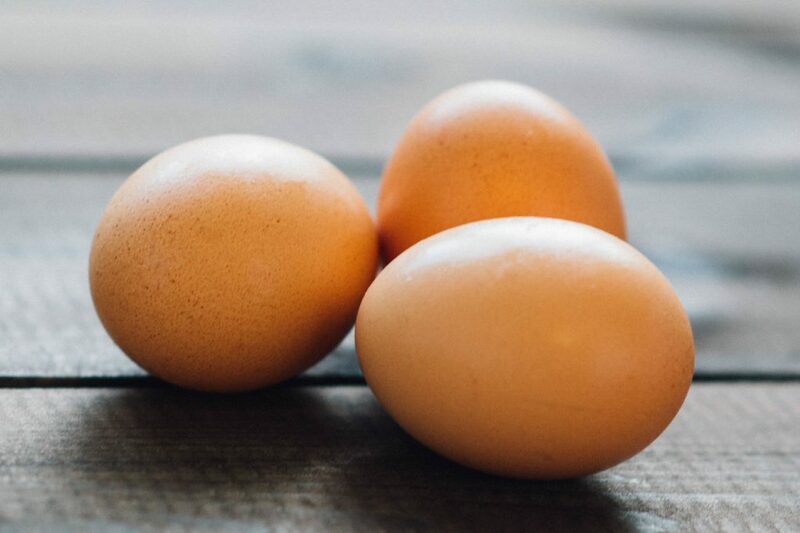 Pop your eggs in the oven instead for perfect hard boiled eggs. 30 minutes at 350° should do the trick. If you have a muffin tin or two, you can cook a couple dozen in the time it takes for you to watch your favorite TV show (or prep the rest of your week’s meals). 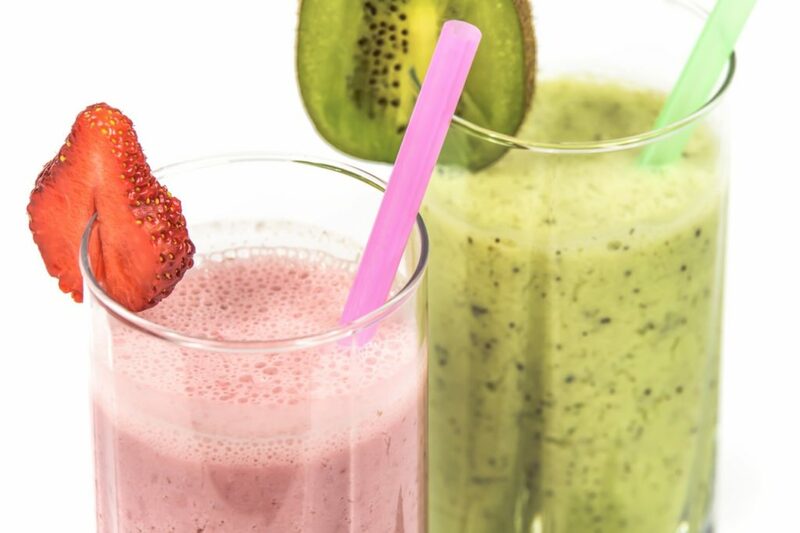 Smoothies can be nutritious and filling breakfasts, but they can also be time-consuming. Make smoothie packs with all the ingredients beforehand and store them in the freezer, so all you have to do is throw them in the blender with your liquid of choice. You can freeze yogurt, seeds, nuts, and even greens to add nutrition to your breakfast smoothies. 6. 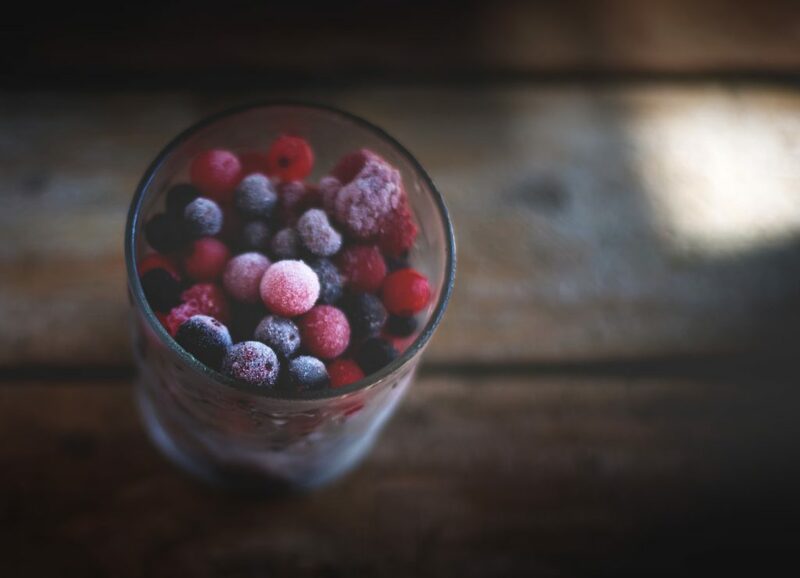 Use frozen fruits and vegetables. While we’re conditioned as a society to prefer fresh produce, frozen fruits and vegetables are actually cheaper, more convenient, and sometimes even more nutritious than their fresh counterparts. The flash-freezing technique makes sure that produce picked at their peak freshness stay fresh, and that they won’t lose any of their nutritional value during transport. You’ll save money and prep time! 7. Invest in a slow cooker. 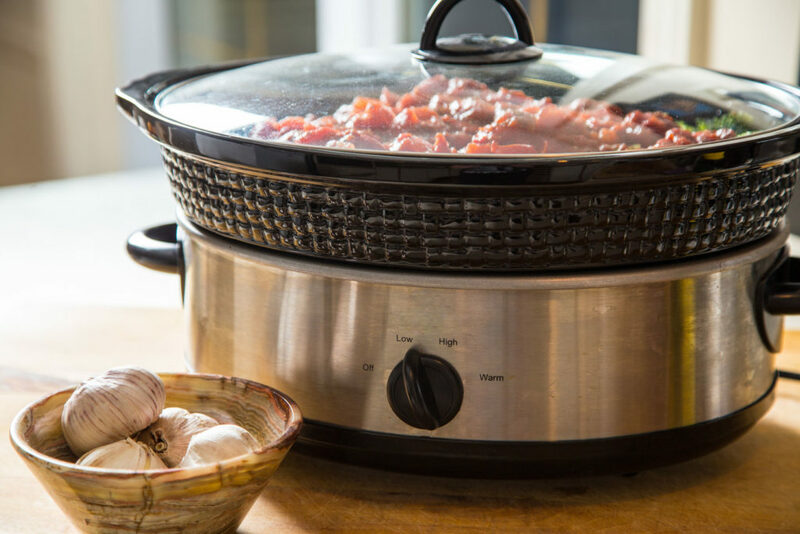 A slow cooker can dramatically lower the amount of time you spend in the kitchen. Versatile enough to handle meat, vegetables, grains, and even liquids, a slow cooker can make all but make the meal for you. Throw in some chopped vegetables, some meat, spices, and liquid on your way to work to create a savory meal for dinner when you come home later. You can even use your slow cooker to make your oatmeal in the mornings! 8. Roast different vegetables that have the same cooking time. Roasted vegetables are nutritious and can add tons of flavor to all kinds of dishes. 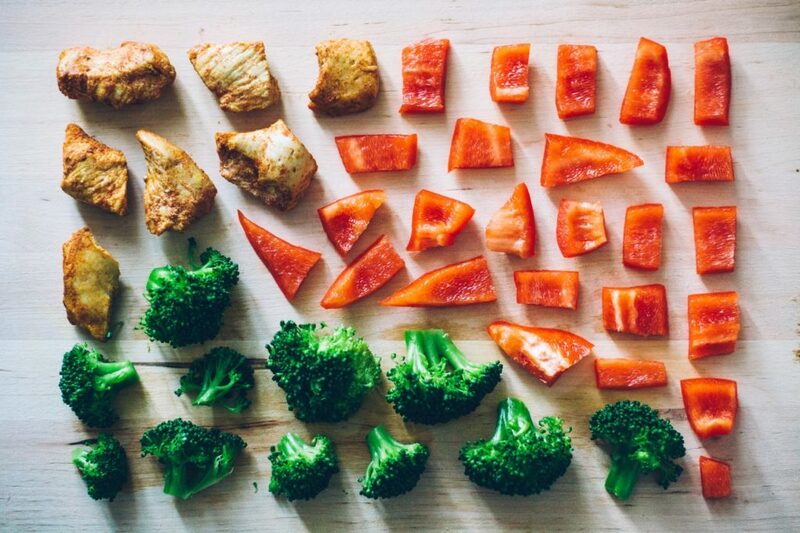 Save time and roast different vegetables that have the same cooking time together. Carrots, cauliflower, potatoes, and root vegetables take longer to roast, so make sure to pair those, while asparagus and mushrooms roast much quicker. 9. Make your own snacks and ditch store-bought ones. 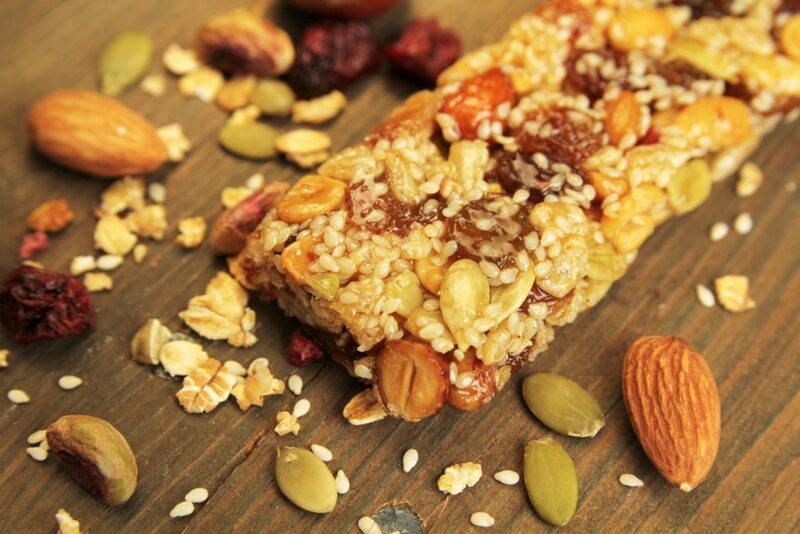 We all like to snack, but snacks can derail any healthy eating plan in the blink of an eye. They can also be expensive. Make your own at home, so you know exactly what you’re eating and how much of it. You can make your own protein bars, for example. Previous Offer: Free Garnier Hand Cream — Get Yours Now! Next Offer: 20 Tips That Will Save You Hundreds at Disney Parks and Resorts!